Puerto Rico has represented itself with flags for centuries, but the modern flag of Puerto Rico has only been in use for a fraction of that time. The design of the Puerto Rico flag can be traced back for more than a century, but the current Puerto Rican flag has only been in formal use for a little more than half of a century. The Puerto Rican flag consists of five horizontal stripes of red and white that stretch out from a blue triangle along the hoist. A white star is in the center of the triangle. The flag's three red stripes represent the blood that the people of Puerto Rico have shed in defense of their home, while the white stripes represent peace. The blue section of the flag represents the blue sky and the sea that surrounds Puerto Rico, and it is shaped like a triangle to represent the three distinct branches of the Puerto Rican government. The star in the center of that triangle represents Puerto Rico itself. 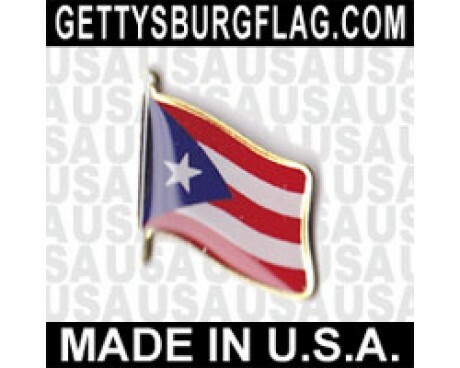 The first flag of Puerto Rico was the royal banner of Spain. Christopher Columbus carried the flag when he claimed the island for the Spanish Empire, and it represented Puerto Rico for most of the time that it spent as a Spanish territory. 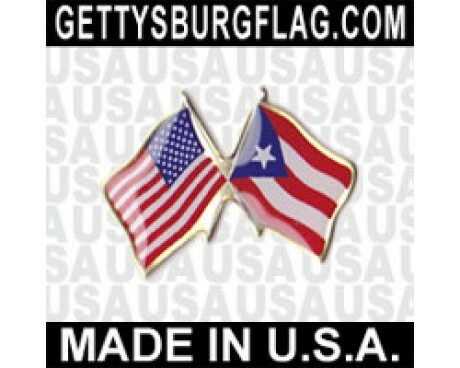 The first Puerto Rico flag that was designed by a native came into use among the colony's independence movement in 1868. The top half of the field was blue with a white star near the hoist, while the bottom half was red. A white cross divided the flag into four equal sections. 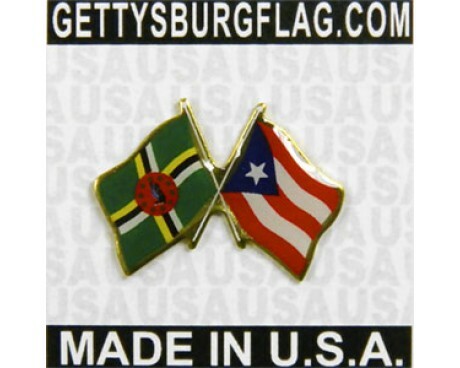 The current flag was designed in 1892 by members of the Puerto Rican Revolutionary Committee. 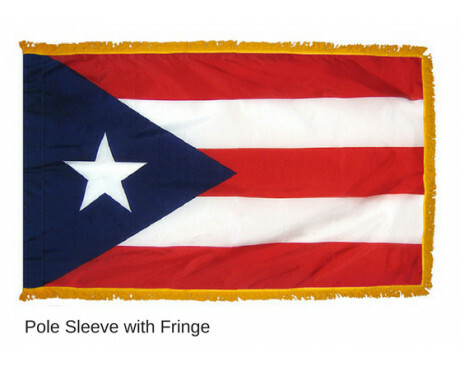 They used the flag to represent themselves shortly after it was designed, but it was not legally adopted as a flag of Puerto Rico until 1952. 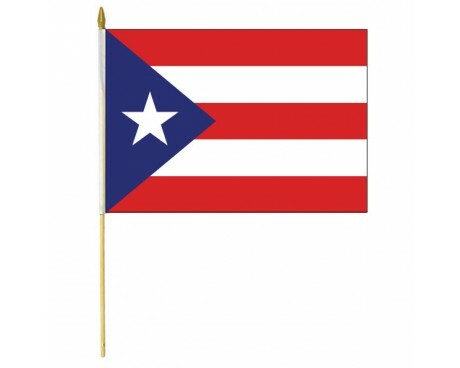 The Puerto Rican government used different shades on their own flags than the previous design used, which caused some controversy. The current law does not specify the precise shades that should be used, so both the original form of the design and the 1952 variant are commonly displayed. 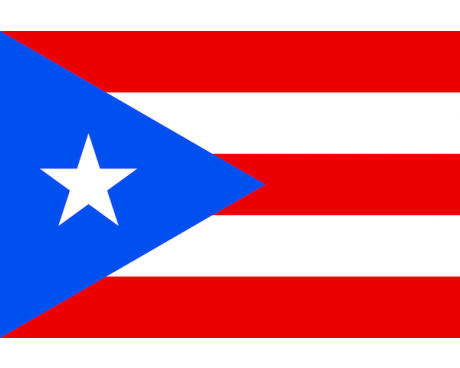 The flag of Puerto Rico consists of five equal horizontal bands of red (top and bottom) alternating with white; a blue isosceles triangle based on the hoist side bears a large, white, five-pointed star in the center.